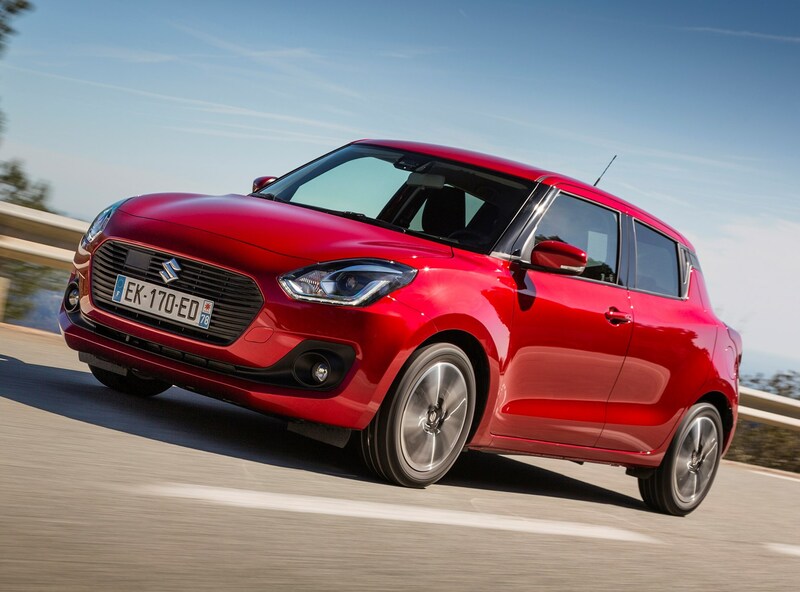 Based on our drive of the 1.0-litre Boosterjet version with 111hp and weighing in at a modest 915kg, you’d be right to expect warm hatchback levels of performance. It boasts a 0-62mph time of 10.6 seconds and the maximum speed is 121mph. In gear pulling power is also reasonable thanks to a healthy 170Nm of torque (160Nm in the auto). We like the way it pulls at low engine speeds, meaning that you won’t need to use the sweet-shifting five-speed gearbox too often to keep up with the flow. In fact, it pulls happily from walking speed up to the legal limit – just in third gear. So, there’s no need to extend it beyond 4,000rpm, although it’s happy to be revved to the red line, if that’s your thing. 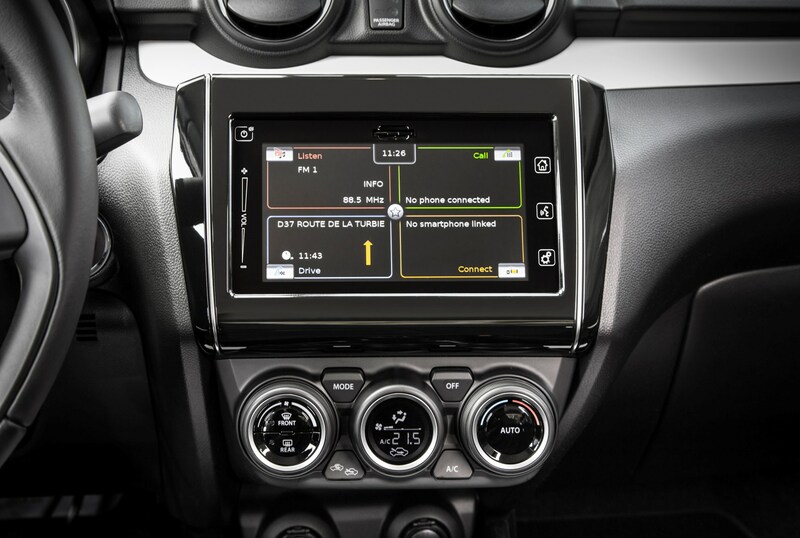 It cruises happily on the motorway, its refinement limited by wind rather than engine noise, and in town, the light, well-weighted controls, combined with good visibility, mean it’s pleasant to drive in urban environments. 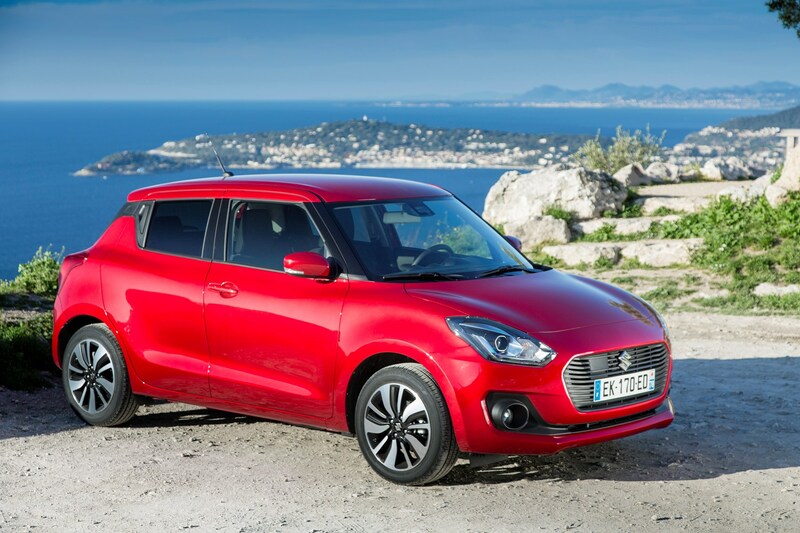 For improved economy and emissions, the 1.0-litre (and 1.2-litre) engine can also be specced with Suzuki’s mild-hybrid SHVS system. 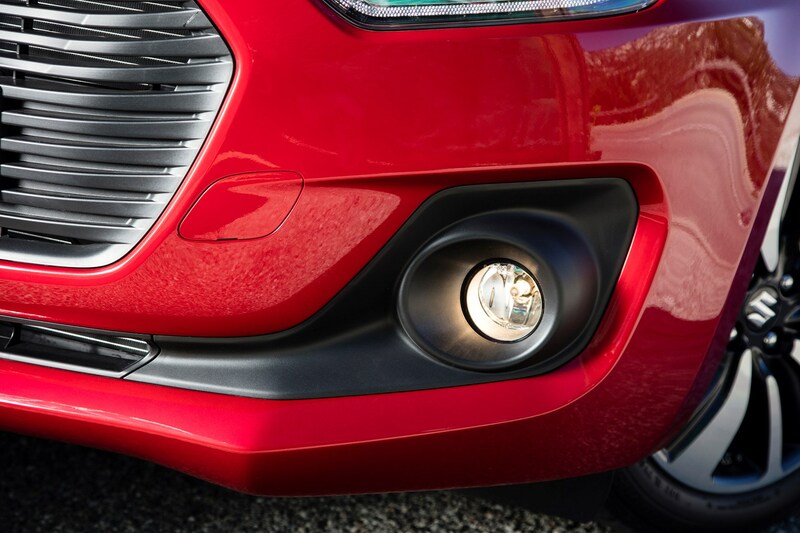 This uses electrical power to assist the Swift when pulling away, gaining charge when the vehicle brakes. 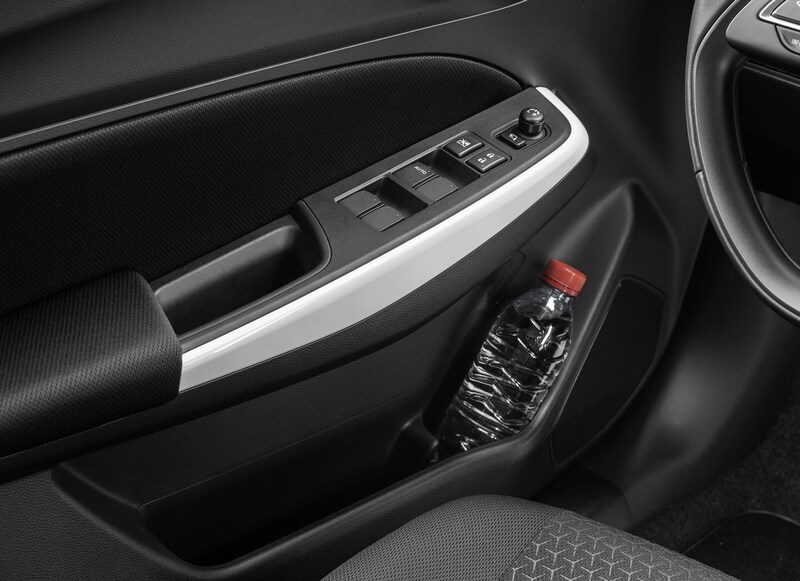 Power and performance figures for 1.0-litre cars fitted with the SHVS system are unchanged. 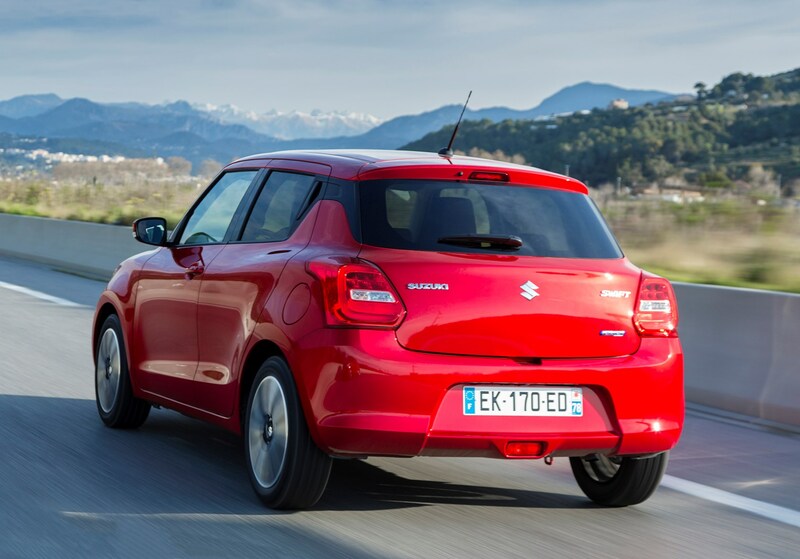 The cheapest engine in the Swift’s line-up, the 1.2 Dualjet, feels noticeably slower than the pricier 1.0-litre. There’s just about enough go for driving in and around the city, but venture out onto motorways or hilly A-roads and the 90hp engine really begins to struggle. 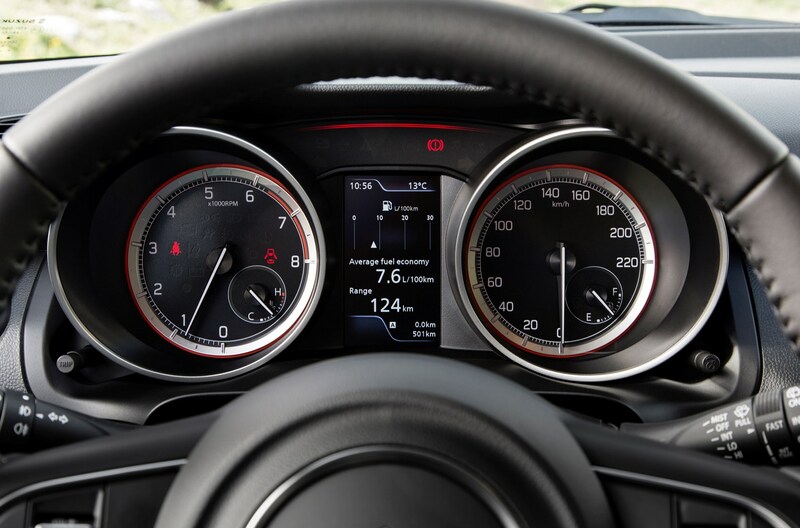 Acceleration to 62mph takes 11.9 seconds in the front-wheel drive version and 12.6 in the four-wheel drive car. But both feel slower than these figures suggest. 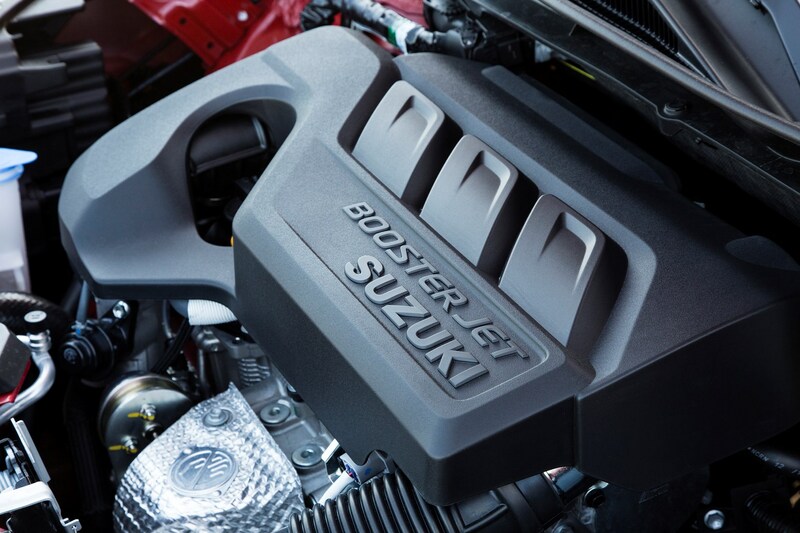 And because there’s such a dearth of meaningful oomph, the engine and gearbox have to be worked exceptionally hard bringing fuel economy down significantly. 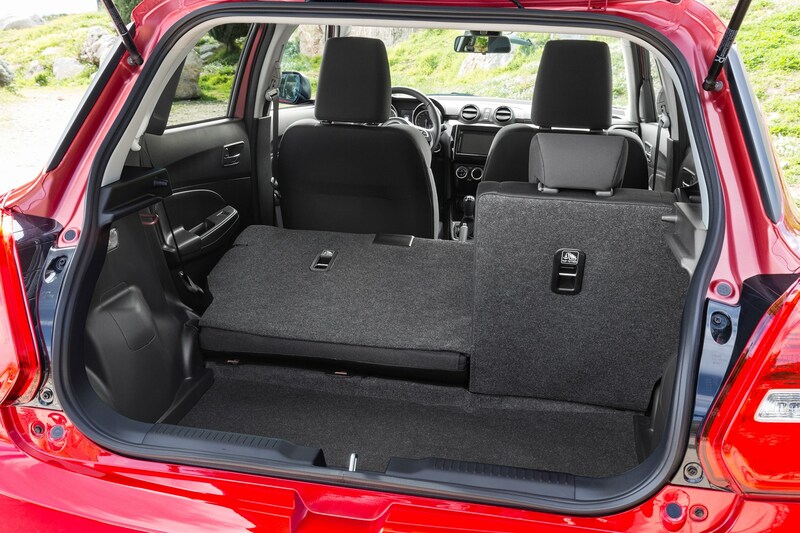 The four-wheel drive system adds noticeable weight, too, so only spec it if absolutely necessary. 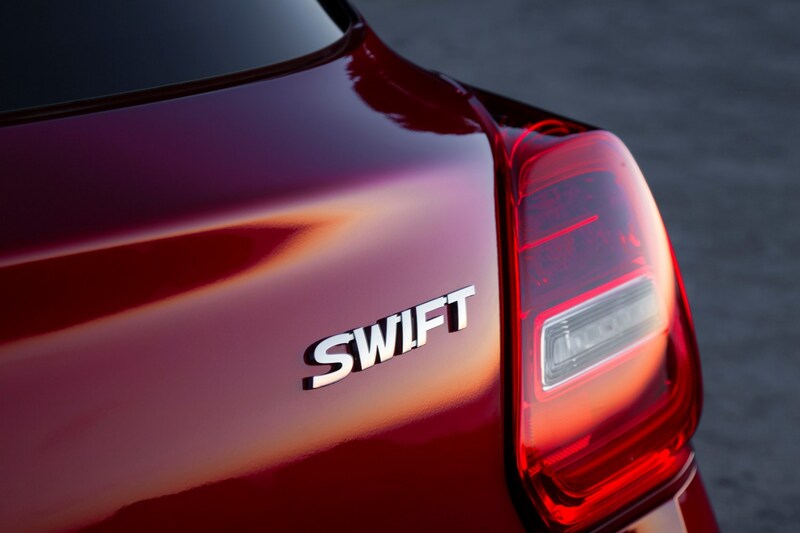 Boasting more power and more torque than the previous generation Swift Sport, the 2018 model feels noticeably quicker – especially during in-gear acceleration. 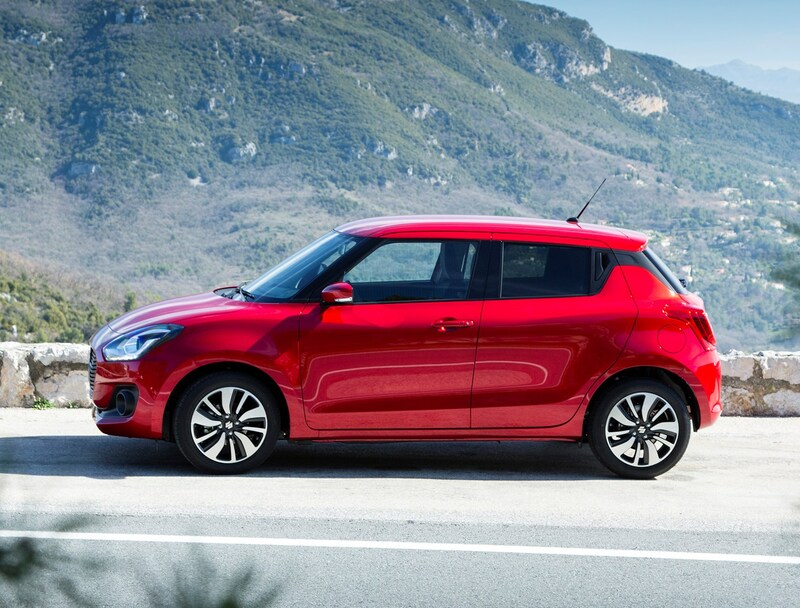 The 230Nm of torque from the 1.4-litre Boosterjet engines means there’s plenty of flexibility in the car’s performance, plus a 975kg kerb helps the Swift Sport onto a 0-62mph time of just 8.1 seconds. 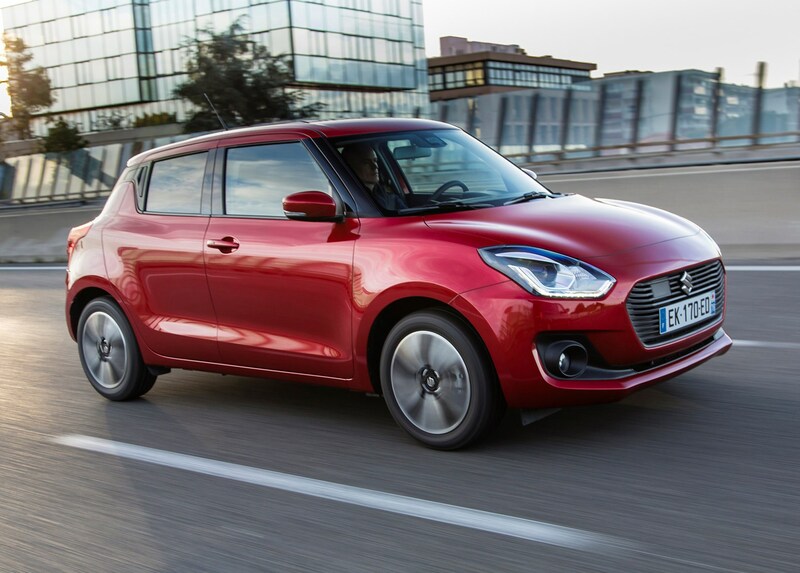 Outright power is still fairly moderate at 140hp, yet there’s still enough to haul the Swift Sport along to some healthy speeds given the opportunity. 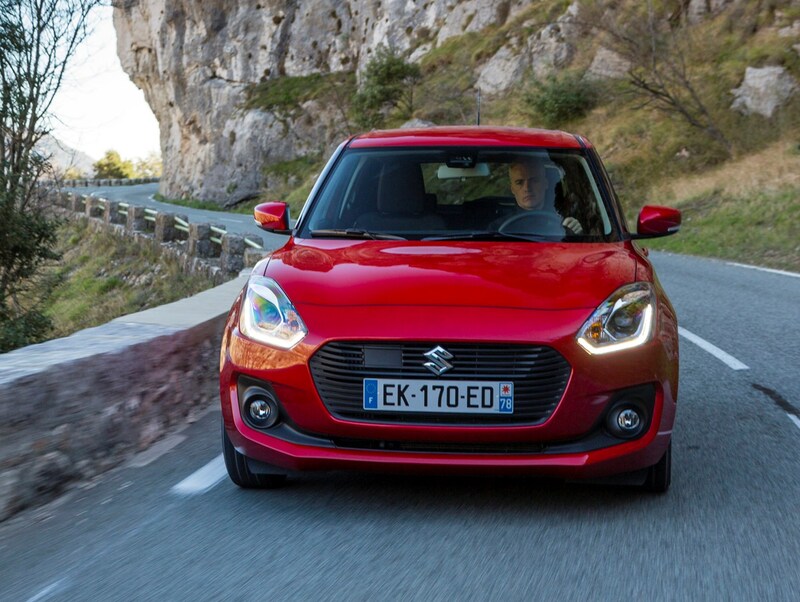 Sadly, however, despite the car’s impressive performance, the engine isn’t especially characterful and falls short of the benchmark set by the previous Swift Sport. Yes, it’s quick, but the sound, power delivery and lack of much going on near the top end of the rev range put a dampener on proceedings. 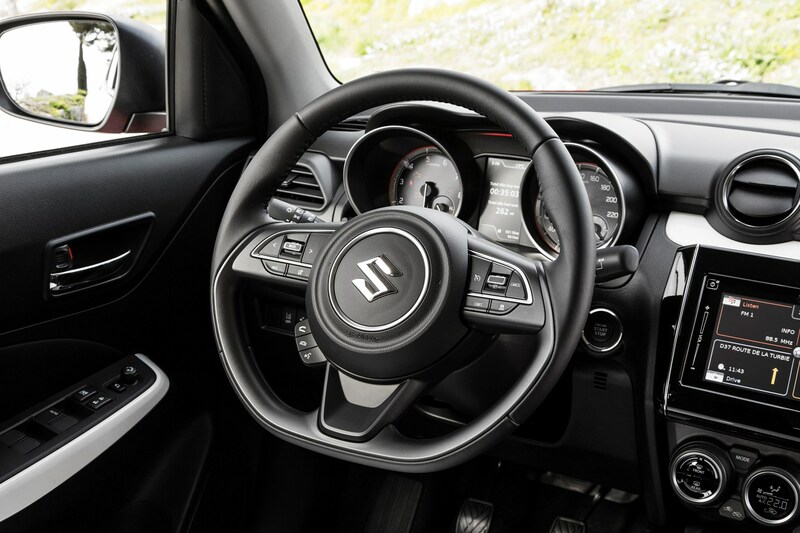 The six-speed automatic gearbox only available on 1.0-litre Boosterjet models is impressively responsive, and delivers smooth well-timed changes at normal speed. However, take it onto a faster road and it begins to struggle. 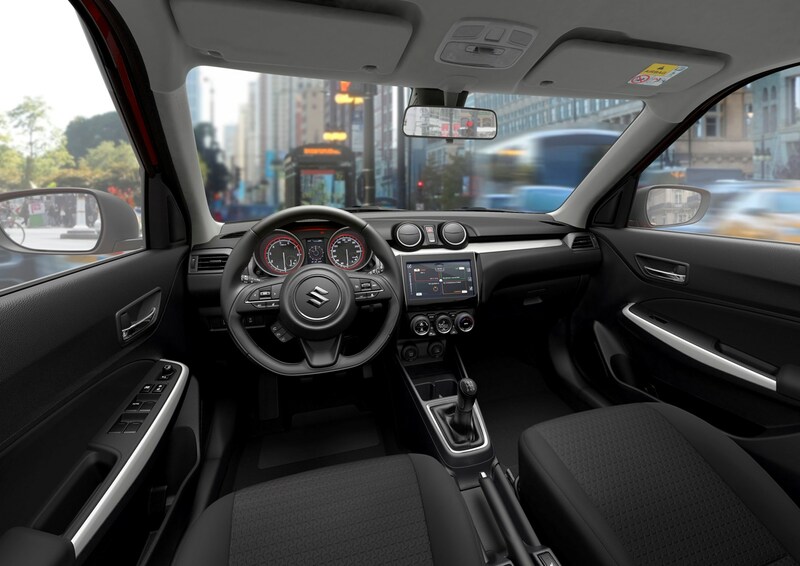 Should you want to accelerate forward while traveling at speed, the gearbox requires a hurried-feeling change down – often two – to elicit any real movement, creating a frustrating experience as the transmission constantly flicks between gears. On the plus side, 0-62mph drops from 10.6 to 10 seconds flat, even if top speed drops 3mph from 121mph to 118mph. 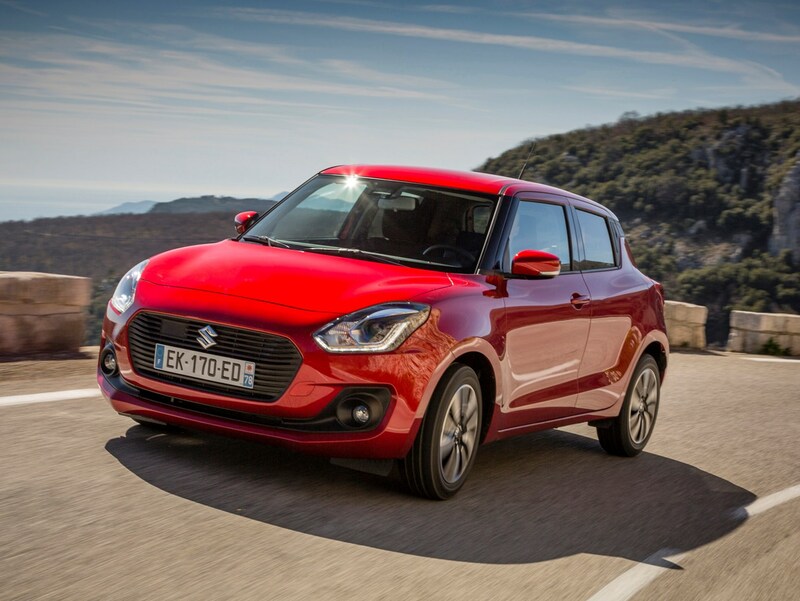 Overall, the Swift meets Suzuki’s promise of a ‘sporty drive’. 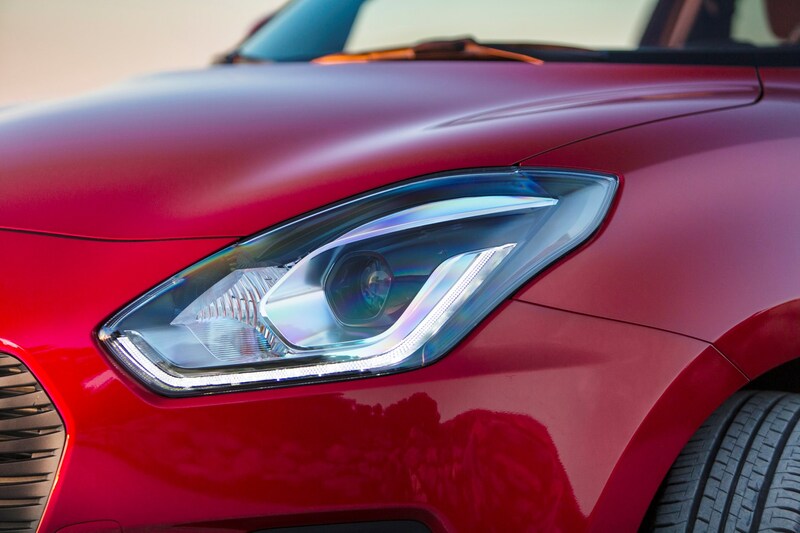 It’s good, and up among the best cars in its class. 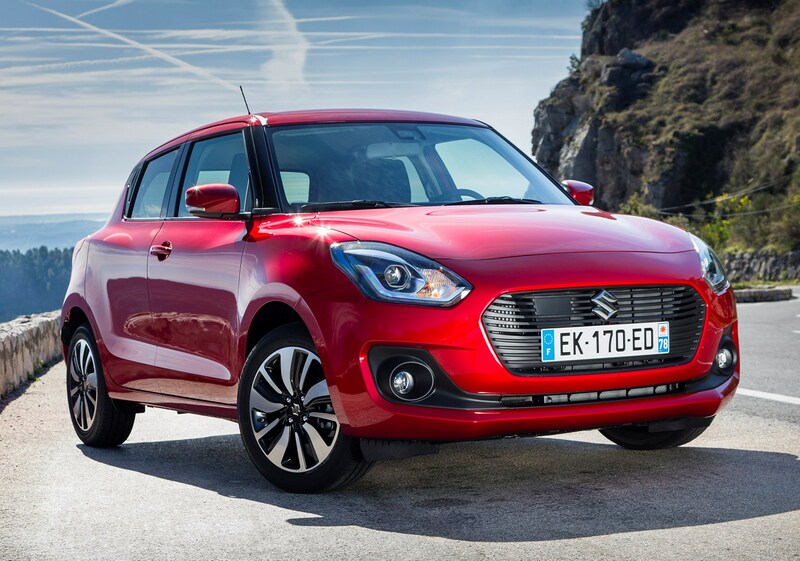 It’s not quite as good as the Ford Fiesta, but certainly not far off – lacking a little of its rival’s go-kart feel. Despite being biased for handling, the ride quality is more than acceptable, with only the deepest potholes and road ruts causing problems on a spirited drive. 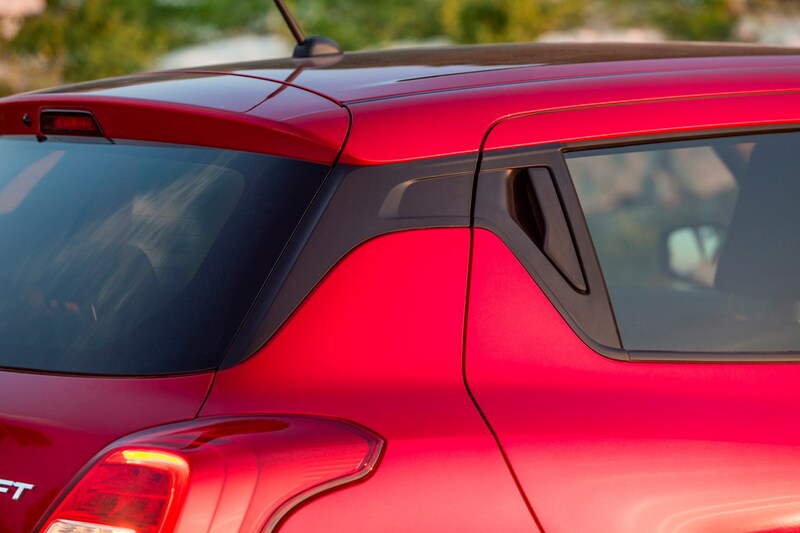 Damping is supple, rounding off the worst of the edges, while overall cornering is of the agile variety. The steering is noteworthy for its quick rack and lightness – although like nearly all the competitive set, you trade-off road feel for overall weight and accuracy. 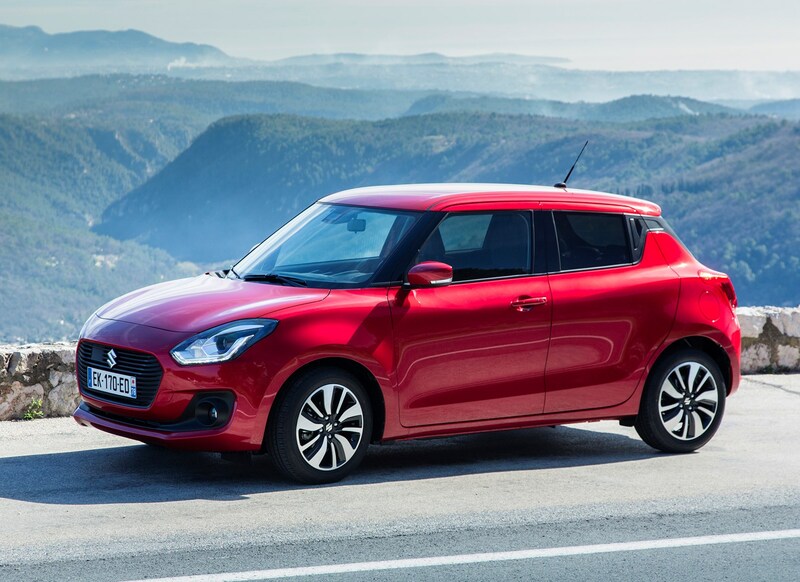 Predictably, the Swift Sport takes the standard car’s already impressive handling and builds on it. 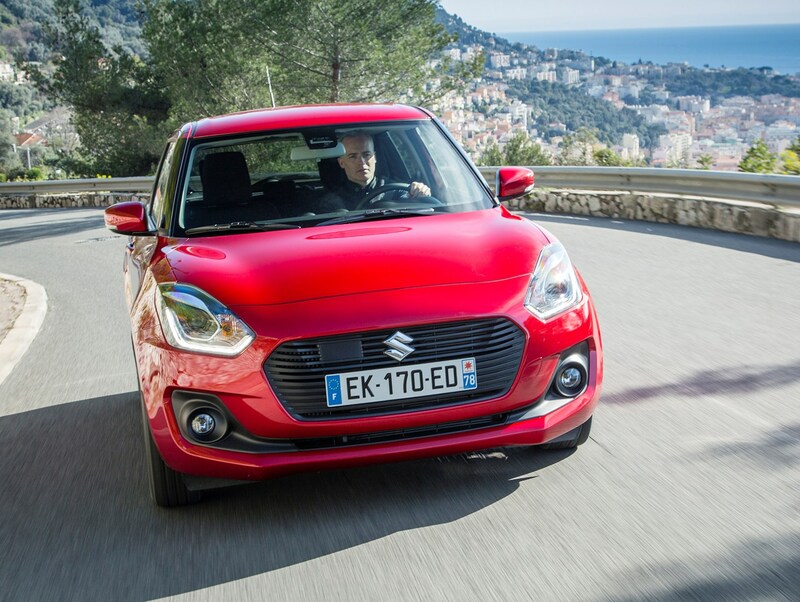 Boasting bags of grip and powerful brakes, it’s surprisingly rapid down a twisty country road. Of particular note is the damping. 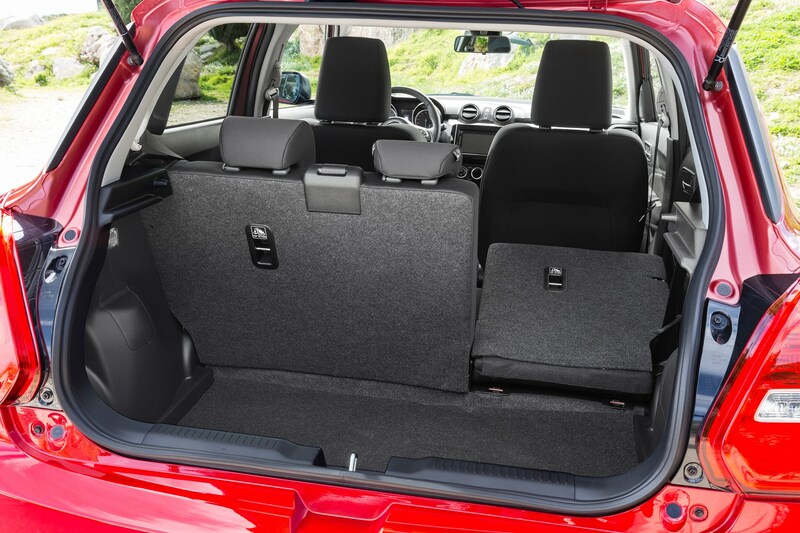 It’s not too firm nor too soft, and deals with surface imperfections well for such a small, light car. 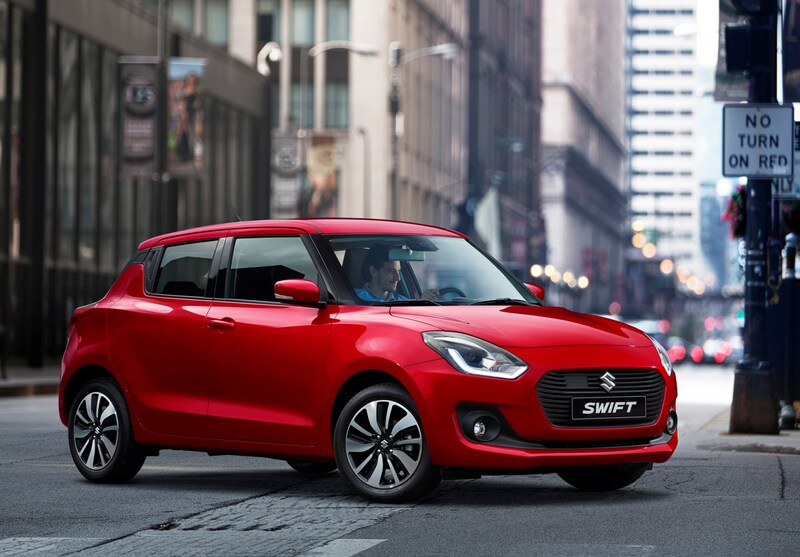 It’s just a shame then that the Swift Sport isn’t really sharper than the car it’s based on. The steering, although weighted up, provides little feedback and delivers an elastic-like feel. 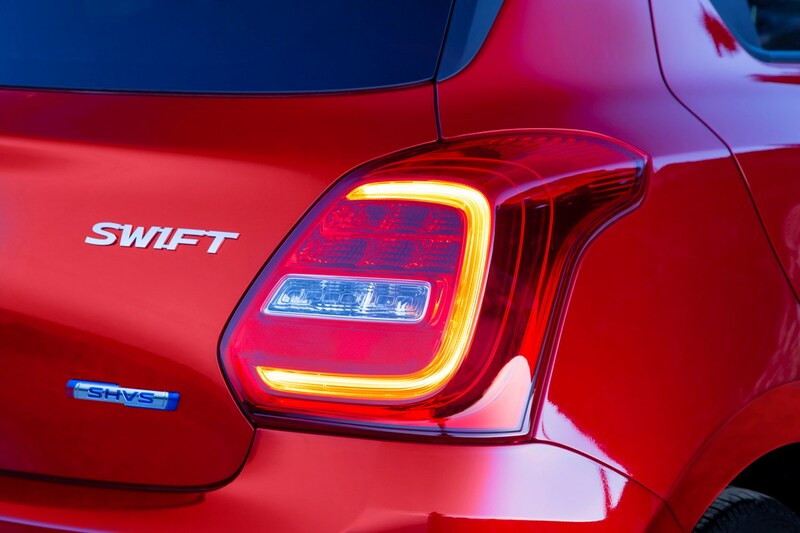 It’s not enough to stop the car from being good fun, however, keen drivers wanting a repeat of the more focused previous-generation Swift Sport may be disappointed. 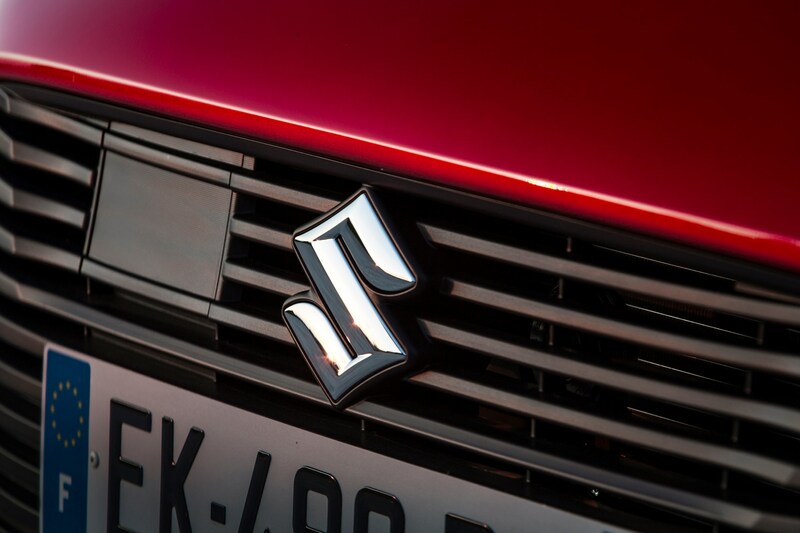 Build quality is typically Suzuki – good, but not quite the best in terms of material feel. It’s functional, if not quite as stylish as some rivals. It’s also tightly screwed together, and you know it’ll feel that way for years to come. That said, the driving position is good, and control layout is simple and effective. 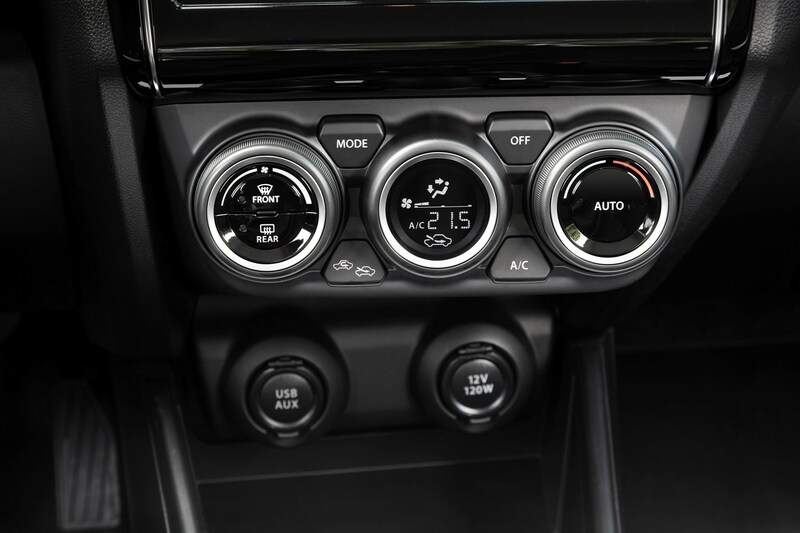 The heating and ventilation system is operated by simple centrally mounted knobs, and all of the rest of the control set is utterly conventional in its positioning. The switchgear has a nice, chunky action, and feels well engineered. 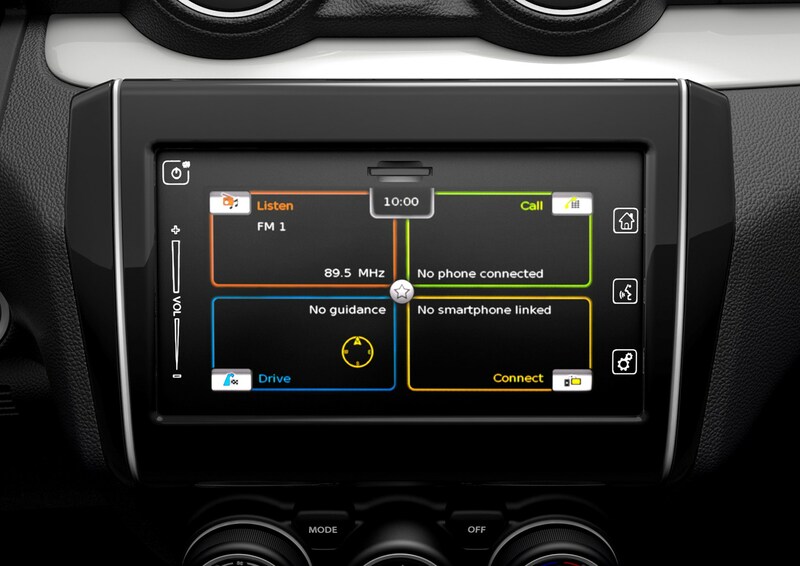 Finally, a word about the infotainment system. Although it’s well-featured, the screen is small, the touchscreen a tad unresponsive, and clunky in its response. It feels a bit aftermarket – and compared with the slick systems offered by its rivals, it’s hard not to conclude it’s disappointing. 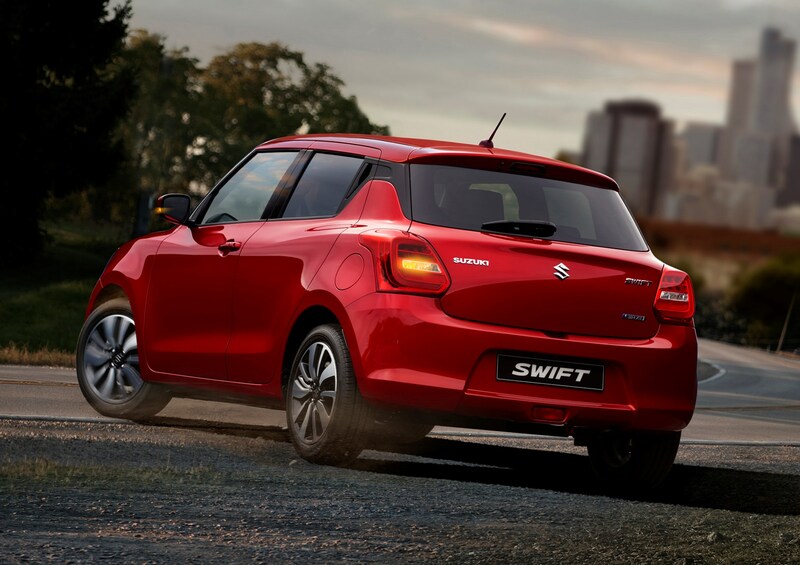 Opt for the Swift Sport and the cabin differs slightly from the standard car. 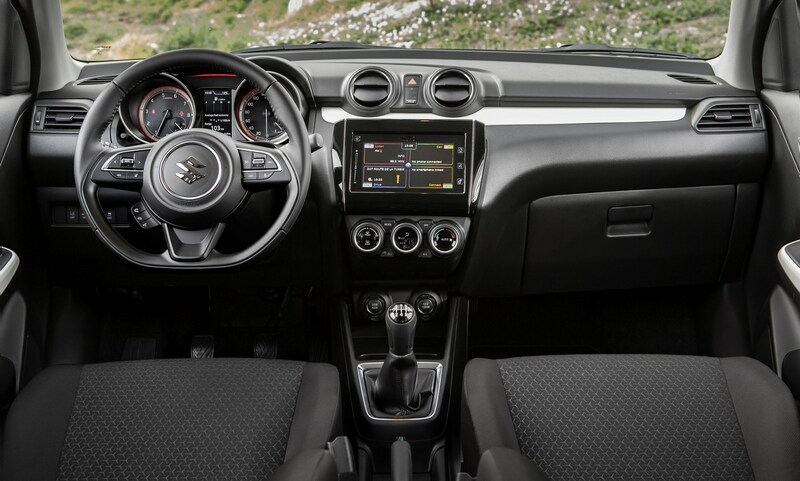 Additional features include a sports steering wheel with perforated grip, a new gear lever and pedals, red dials and trim plus supportive bucket seats. 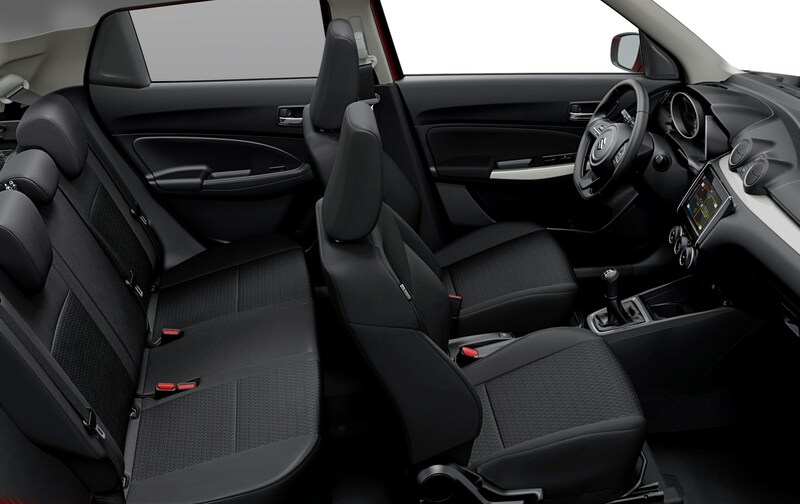 Ride quality is above average in the small car class. 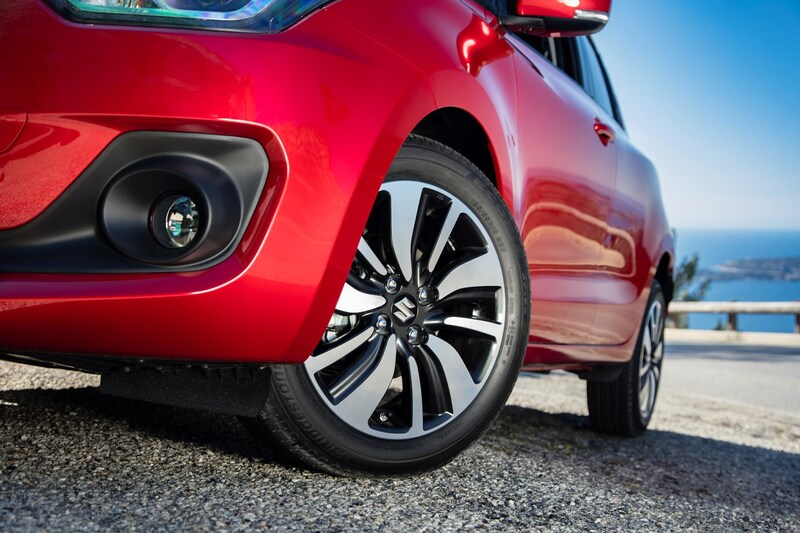 Potholes and road ruts do upset the car’s overall demeanour on rough roads – but it’s better than the Vauxhall Corsa and Ford Fiesta in this respect, with only the super-comfortable Citroen C3 showing the Swift a clean pair of heels. 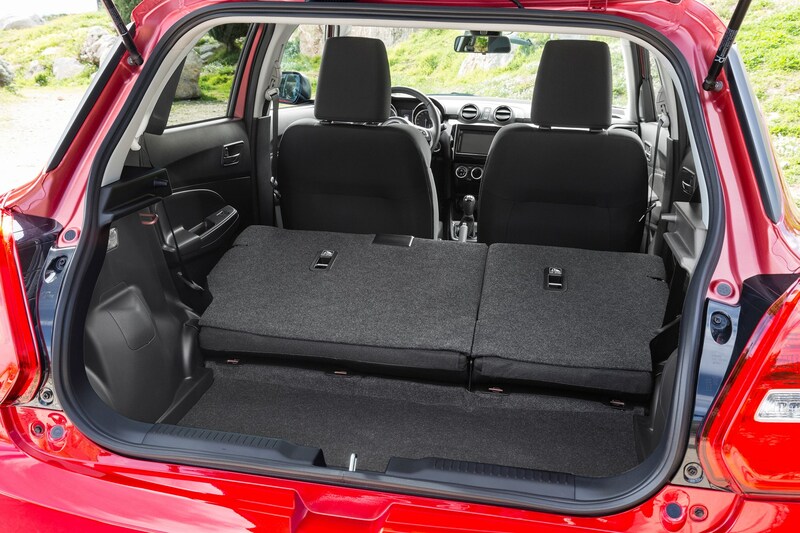 The suspension feels in tune with the entire car, meaning larger bumps are dealt with reasonably well even if a noticeable thud is transmitted through to the cabin. 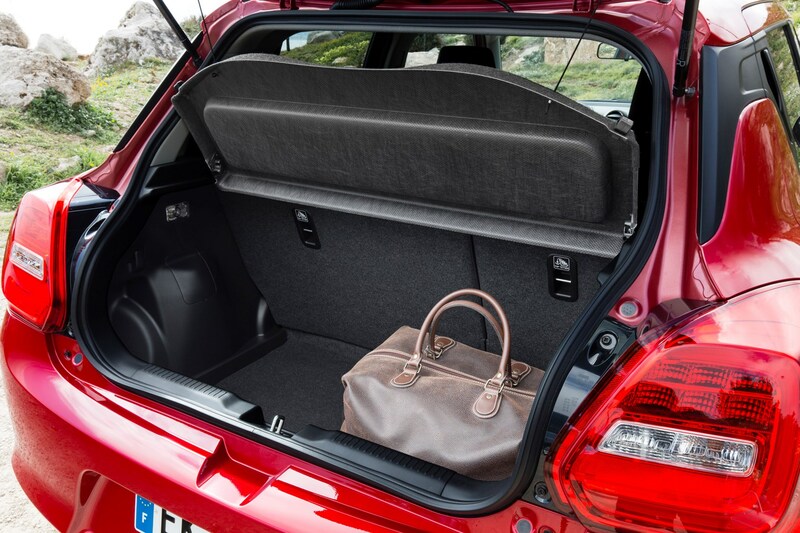 The overall effect is a stable, tied-down feel which manages to balance comfort and handling with aplomb. 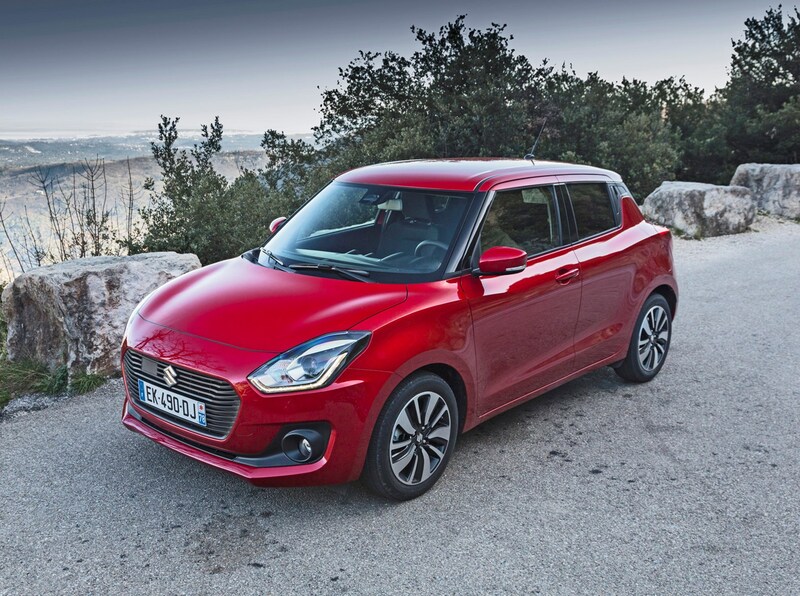 Road and wind noise is certainly apparent at speed, and does mean the Swift is overshadowed by many of its more refined rivals in this respect.